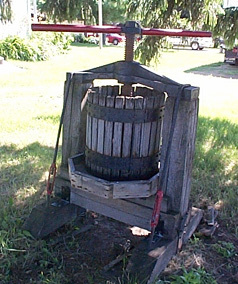 Years ago cider making was the only way to get fresh apple cider! At Circle K Orchard we have a special way to press apples. 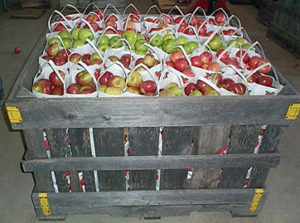 Even though we heat the cider to 160 degrees no nutrients are removed! Kathy and Wilson next pasturizer. The cider making process is done here with state of the art equipment.